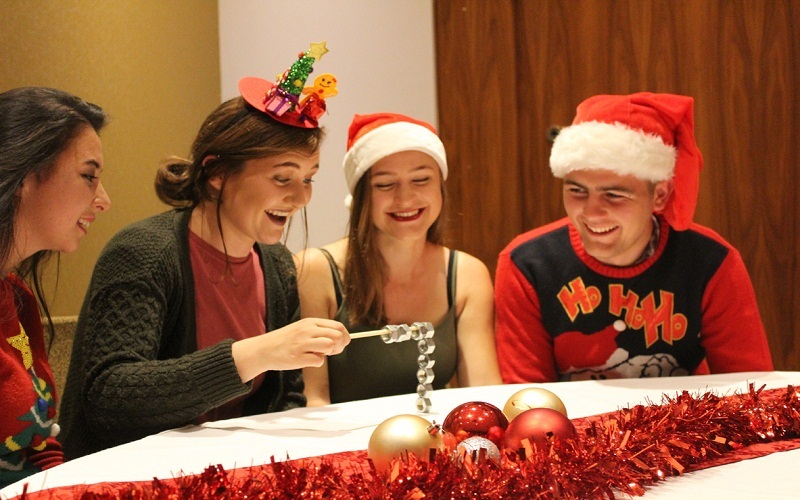 Today we want to propose ideas to celebrate Christmas, beyond the most traditional family gatherings. Proposals for lovers of these dates, who want to enjoy them fully and in good company, but with a different point. The ways of celebrating Christmas are as many as celebrants. If in a family it can already be difficult to agree on whether the sea bream is more appropriate than the capon for the Christmas Eve dinner, imagine the amount of variations that we could find between the Hawaiian Christmas, the Coptic in Egypt or the one celebrated by the Inuit of Greenland with its traditional Kodiak. At present, many customs have been mimicked as an effect of the massive presence of mass media and the cultural hegemony of the Anglo-Saxon countries in these media. However, some of the Christmas traditions were coinciding long ago, as an effect of other global processes of cultural hegemony, especially Christianize. In this sense there are two traditions that we often take for granted but that have controversial origins: the very date on which we celebrate Christmas and its disconcerting relationship with giving gifts. Gathering lifelong friends is always a good idea. Christmas is a good excuse to join everyone, even those who are farther away and see more from time to time. You can come together in a place that suits you all and arrange a snack menu that the same goes well for those who already have children to take care of than for those who have the night off ahead; a chocolate cup and some traditional sweets always fall well. But do not forget to ask for some sandwiches, mini sandwiches or something salty for the less sweet ones. Agree previously a budget for the gift of the invisible friend (even if it is merely symbolic) and organize the game. If you want the gifts to be personalized, someone will have to put aside the surprise and be the one to indicate to each one who will have to give the day in question. 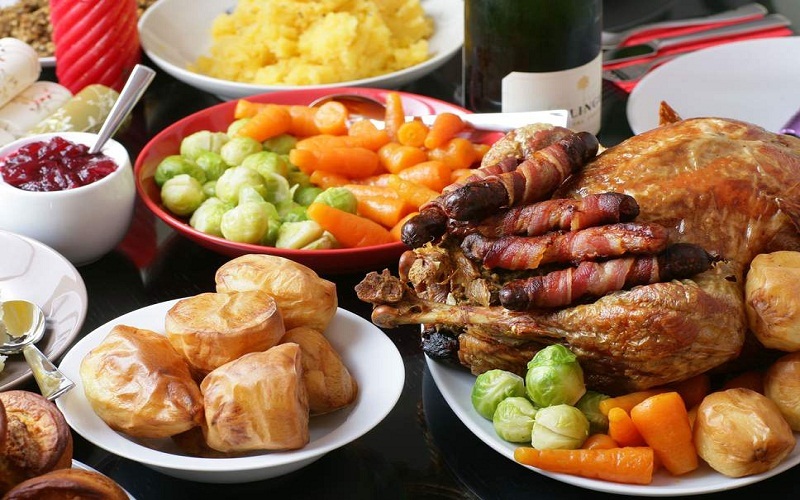 In your home, there is always plenty of food for the Christmas Eve dinner and midday Christmas? Well, it’s not the only one. Gather family or friends at home, set the nice table, each one prepare their best dishes and share them. An added holiday and the possibility of “exchanging dishes” so that it is not eating more of the same. 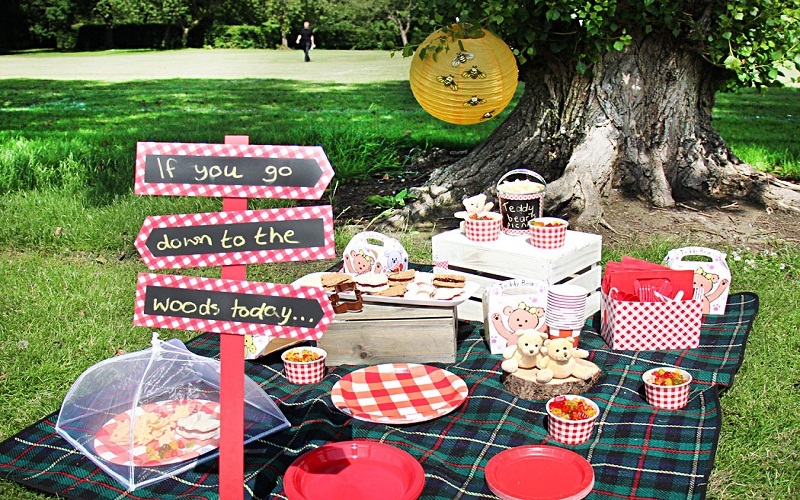 Taking advantage of the fact that this year the Christmas holidays are directly linked to the weekend, if the weather is good, it means moving Christmas outside and celebrating a Christmas picnic full of charm; Choose the company and the place first. After the menu and the Christmas touches. Prepare some cozy blankets, hang some ornaments of a tree (always respecting it and picking it up afterwards) and do not forget to include some appetizing and Christmas things like a thermos of hot spiced wine , for example (try this recipe, it comes out delicious). If you are tired of formalities and you love a good party, organize the best for this New Year’s Eve. Move all the furniture that you have to move aside and let the party begin even before dinner. Choose the music and enable at least two large tables for food and drinks, have a good shipment of ice cubes in the freezer and distribute the invitations to enjoy in the best company. And do not forget the grapes for the time of the chimes! It is the day of the children or of those who enjoy as such. Prepare a snack for your children and / or nephews, for those real greedy ones, and then take them to see the classic cavalcade. Or merendad in the street, near where you want to put yourself on the front line to see the floats pass by; there are many places that take advantage of the moment to organize special snacks. The day of Kings is a good day to celebrate Christmas, but in families it is difficult to square the plans of those who already have children and have risen early to open the gifts and enjoy playing with them with the plans of those who came out The night before a party of Kings and they have not gone to bed until the day has come. A midday brunch is the perfect option to gather everyone at home around a good table; coffee, Roscoe de Reyes and chocolate will be the breakfast of some and the dessert of others. Combine sweet and salty at a table with all the food already set so that everyone will be served whatever they like. The first thing you must remember is that a person’s vision of something (in this case, Christmas celebrations) is not the vision of everyone. If you go through a complicated moment or just do not like to socialize it does not mean that the world should be depressed with you. As hard as this sounds, “your pain is not your pain” and you must remain neutral without trying to infect your anti-Christmas feeling. Spiritual rituals heal the soul. Love them or not, there is something in these dates (perhaps the advent of a new year, a new stage and the dismissal of a period marked by bad and good deeds) that arouse mixed feelings. Remembering those who loved you and wanted to be a true incentive of faith, love and hope. These dates are usually painful because of the absences of loved ones, but take the opportunity, since you are in it, and try to channel this to positive thoughts and comfort you. They do not want to see you sad. Friends and family, in their attempt to motivate you, will invite you to their parties to accompany them. But if you are not convinced or just are not in the mood, a genuine “no” will always be your best option compared to a “yes” for commitment. No matter how much they insist or do not understand that you do not want to celebrate, you decide for honesty. To go “forced” you will only transmit your discomfort to people who are in another level of enthusiasm. For some it may sound counterproductive, but you can take advantage of those free days to rest, catch up on your readings, the series you have left behind for work or just give yourself some time alone. There is nothing wrong with well-managed solitude. One of the best remedies on these dates is to take a vacation. It does not have to be an extremely expensive place, just something that takes you far enough from the chaos of the days. If you are one of those who can not bear the excess of – sometimes false – happiness, move unceremoniously towards a place that transmits peace. A magical town is a good choice. Sometimes people think that if they do not celebrate with many people (including the distant cousin, the brother of the cousin of a friend’s uncle, etc. ), the party is a failure. If you are honest with yourself, the people you really love, in most cases, can be counted on the fingers of one hand. Celebrate with your mother, your partner, your children, your true friends. You do not need to fill all the chairs on the table to have fun and at ease. Those who love you do it the way you are and live day to day by your side. Do you need someone else to celebrate? Set aside these days of relaxation to people and activities that bring you fullness, peace and tranquility. Five traditional recipes to celebrate Christmas! The tamales are one of the culinary elements that are not missing at Christmas in several countries of Latin America, from Mexico to Bolivia. Although fillings vary from country to country, dough preparation with some type of filling is almost similar across the continent. Delicious! Rose roots are a Christmas culinary delicacy for Mexicans . Prepared in mole, this cooking takes potatoes, shrimp pancakes and of course, rosemary in abundance. Although the mole is eaten in Mexico almost at any time of the year, this peculiar dish is usually reserved for the Christmas holidays. The piglet is one of the favorite dishes of the festive seasons in different countries due to its intense flavor and the soft consistency of the meat. And although it can be quite fatty, for many it is an essential dish for the Christmas dinner. Delicious! And from Chile comes this delicious drink with a peculiar name. The cola of mono or cola mono is a drink very associated with the Christmas season and that is usually accompanied by desserts and breads. Milk-based this drink has a sweet cinnamon flavor that delights anyone who tastes it. Health! To close with a flourish a good Christmas dinner can not do without a delicious dessert. From Colombia we present you the fritters: a delicious sphere of fried flour that is usually accompanied by custard and with a rich hot chocolate, ideal to close a long night of delicious dishes. 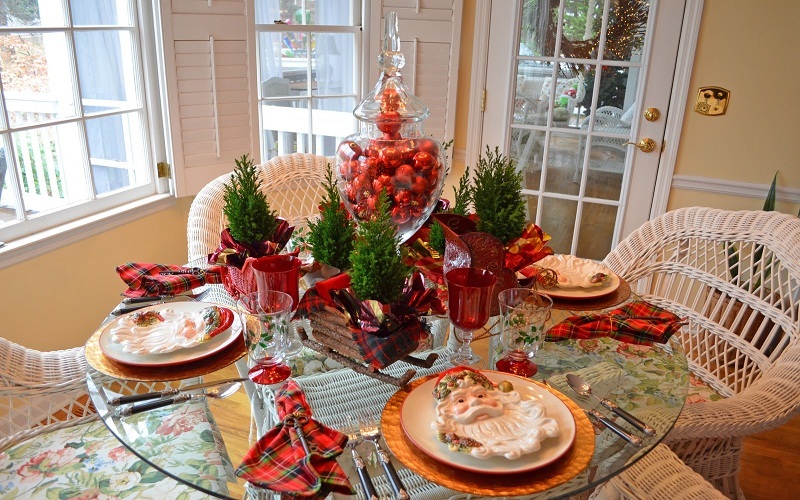 The most important aspect of a well-styled Christmas table is the planning, layout and function, Morgan says. Think about how many people will be sitting at the table, and consider whether you’ll have enough room for food platters, drinks and decorations. Don’t make it too squishy, though – no matter how close your family might be, people still need space… for more food in their bellies. Morgan says you can never go wrong when investing in good-quality basics such as an oversize white tablecloth, elegant dinner sets and a selection of glass vases in different shapes and sizes. Carefully consider your repetitive decorative elements to ensure that they’re making a great statement. …and sorry, Uncle Ted, it’s not your lame jokes. When styling, Morgan says it’s important to have ONE central focal point. If it’s a small or round table, it will be one with substance. When decorating a longer and larger table, you can repeat this focal point with smaller accents along the table. Keep in mind the height and width of the focal point; you want people to be able to interact across the table without parting the floral arrangement like they’re stalking gazelle on safari. A table setting is more about contrasting textures and layering items and materials than overwhelming guests with color. Morgan emphasizes that the general rule is to stick to one main color; however, you can be adventurous with varying shades of that color throughout the setting. Look for things that can be kept on display in your house year-round while still giving a luxurious, festive vibe. You can achieve this look with beautiful polished brass or gold-plated candlesticks and candle holders, and by using marble and/or black granite serving boards and platters. Then you can get bonus use out of them through the year as they won’t be paired with Christmas items. This Christmas it’s all about adding festive baling, such as classic gold accents, metallic glitter and simple warm fairy lights to neutral, organic and simple Christmas table settings. You want to look fancy but without the added pressure of being too stuffy. With this Christmas table setting created at Freedom, we softened the festive bling look with Christmas-inspired foliage, glass, candles and fairy lights to bring a sophisticated yet whimsical feel to the table. We also incorporated contrasting tones by playing on the black and gold accents. Less is more! 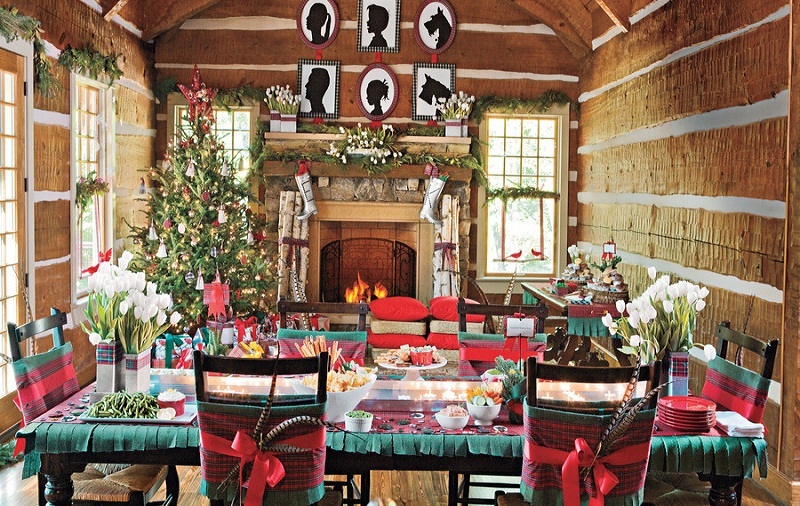 The biggest mistake people make when styling their table is trying to incorporate too many different Christmas-themed items or looks. Decide on one clear theme and stick to it. Because no-one wants a table that looks like Santa Claus exploded on it. Finally, celebrate Christmas- Are you tired of commercial Christmas ? Then give a new meaning to Christmas, or rather, give it the true meaning leaving aside consumerism and focusing the celebration on the birth of Our Lord Jesus . If you or your family are not Christian believers but follow the centuries-old tradition of Christmas , this is a good time to think about your spiritual values, in the community and in the human. Think about how to make Christmas an occasion for meaningful communion between you and those around you. Christmas is par excellence one of the best moments of the year – although not the only one – to think about your neighbor and serve others . Next post: Soap and beauty products with activated charcoal!